We’re kicking off the new year with a whole host of dates for your diary to keep you swinging at home & away! First of all, our Pam Golding Day (scheduled for January 24th) has been postponed until October because the sponsor has allowed “January to run away with them”. 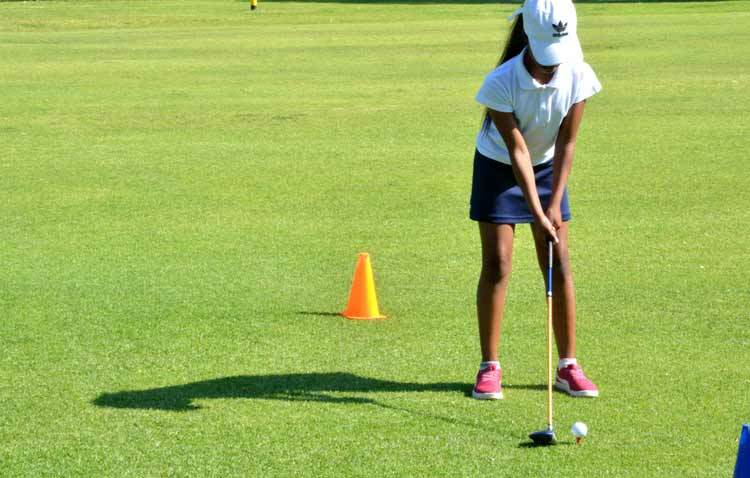 Our Lady Captain’s Competition will be on Thursday January 31st & will be a betterball. This is quickly followed by the first Captains’ Dinner/Dance for many a year on Friday 1st February at 7pm. The theme is “You can leave your hat on”, so beg, steal or borrow some striking headgear as there will be a prize for the most original men’s & ladies’ hats. Music will be provided by the ever-popular Sujo & Storm, so put on your dancing shoes as well. Tickets cost R230 per person, the poster is on the notice board & the list is in the green fee office. Tables of 8 are ideal & the event is open to non-members, so can invite your friends & relatives if you wish. These will be held on Sunday 3rd March, so don’t forget to put your names down after the next Monthly Mixed on February 3rd. All new lady members are cordially invited to stay for our Meet & Greet after prizegiving on 7th February to get to know the committee & fellow ladies. Please let Simon in the green fee office know if you’ll attend (for catering purposes). NB Click on the white panel for each competition to get details of the format! We will continue to inform the ladies’ section of SCGU events & At Home Days through this newsletter & via the notice board in the ladies’ change rooms. Our ladies Silver & Bronze teams will shortly be going into battle – and wish all our players good luck & great golf. Meanwhile, many congrats to Delene Weir & Barbara Ribeiro for being our most successful performers in last year’s Silver & Bronze Divisions, respectively. Keep up the good work, ladies! 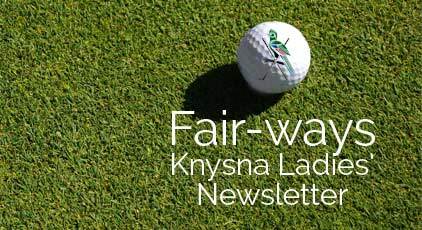 The Women’s Golf South Africa medal winners for Knysna GC in 2018 (lowest net scores for the best 4 rounds) were Tanya Lightly (Silver) with a nett 70 & Trish Leach (Bronze) nett 69.75. Congratulations to you both. Please remember that Knysna is still a water-stressed area, so please keep your after-golf showers brief to conserve our precious H20. Also, don’t forget that there is NO PLACING anywhere on the course! Please keep a full sandbag with you when you play to fill divots & make a point of repairing yours (and any other) pitch marks on the greens. It’s up to all of us to keep the course in good shape. Alternatively, come to the club and book on the time sheets with the assistance of any of our staff. © 2019 Knysna Golf Club, Garden Route, South Africa.